Don't go anywhere without your basket; you never know when you might need it! 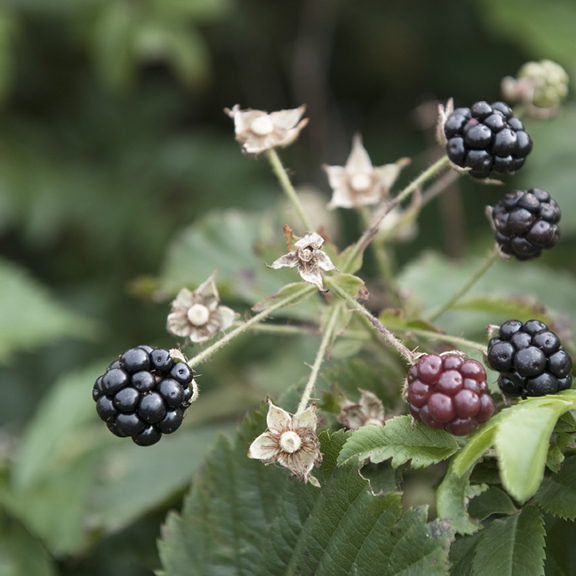 I’ve written about foraging before, and my interest in it has heightened this year. It’s hard to describe the satisfaction of stumbling upon a bevy of beautiful blackberries, a carpet of brilliant orangey-red chanterelles popping out of brown leaf litter or a miniature forest of almost-camouflaged, apricot-scented black trumpets. While finding edible treasures is easily more than half the fun, the resulting culinary creations are all the more satisfying for having found the ingredients yourself for FREE in the WILD! Foraging is also an excuse to be outside paying close attention to nature in all its glory and learning more about the myriad plant life around us. Plus, eating foraged food is apparently all the rage now, as demonstrated by the international acclaim bestowed upon the Scandinavian restaurants Noma and Faviken, which have become trend setters in serving dishes centered on food found in their backyards. Further proof of the interest in this trend appears in an article in the October issue of Outside magazine profiling the Maine forager who supplies restaurants such as Momofuku. When I tell people I’ve gotten into foraging, the response is either “Cool!” or, more often, “Aren’t you afraid of getting poisoned?” The short answer is “no.” I’m extremely careful. If I have any uncertainty, I either don’t eat the specimen or run it by people I consider to be experts. Of the seven or so edible mushrooms I feel totally comfortable in identifying now, even someone with a small amount of experience can, with a bit of close inspection, rule out whether they could possibly be something toxic. And none of them resemble any type that would be life-threatening. 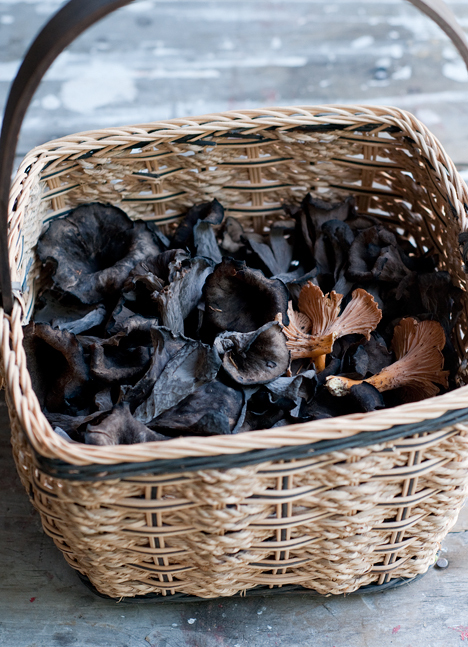 One of the most surprisingly wonderful things about black trumpets is that they smell distinctly of apricots. This isn’t to say that you should go about foraging without a care in the world. If you’re thinking about mushroom hunting get several books (I find it useful to consult a variety of guides as the information and pictures they provide vary), study specimens carefully before even thinking about eating them and seek someone with mushrooming experience to take you on a guided walk. As Marley says, “Nothing can boost confidence better than seeing a mushroom in the hands of a knowledgeable person.” Starting with one or two easy-to-identify varieties is a good idea and then, if you like, you can try to expand your list each year. 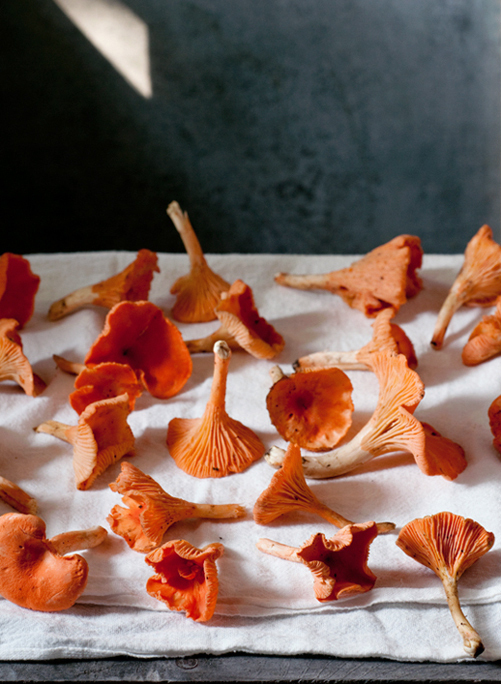 Red chanterelles, a rare find in Maine, were a gleeful discovery this summer. The foraging mindset becomes a bit addictive once you’ve hit a few jackpots. For a few years now, my husband and I have found chicken of the woods mushrooms, usually without even searching for them. They have a way of just bursting out of a tree into your line of vision. This year, I was hoping to expand on our repertoire of known edible fungi. That wish was granted when, in August, my husband, who frequently runs on trails, brought home a delicate, reddish-orange specimen that looked mightily like a red chanterelle as far as I could tell from my handy Peterson guide. We went back and gathered a mother lode of them from that spot and had their identity confirmed by fellow foragers much more knowledgeable than we. Our sources were slightly taken aback as apparently the red chanterelle is uncommon in Maine. Once that happened, we became junkies constantly on the lookout for our next fix. Our craving was satisfied on a mushroom walk with former mushroom exporter and current amazing cheesemaker, Barbara Skapa, organized by the Belgrade Lakes Conservation Alliance in late August. It was here that we learned with certainty what black trumpets, yellow-foot chanterelles, golden chanterelles and lobster mushrooms look like. And once we had the knowledge, they seemed to appear around every corner. Okay, not EVERY corner, but still, we had enough to feed ourselves and several friends many a meal. 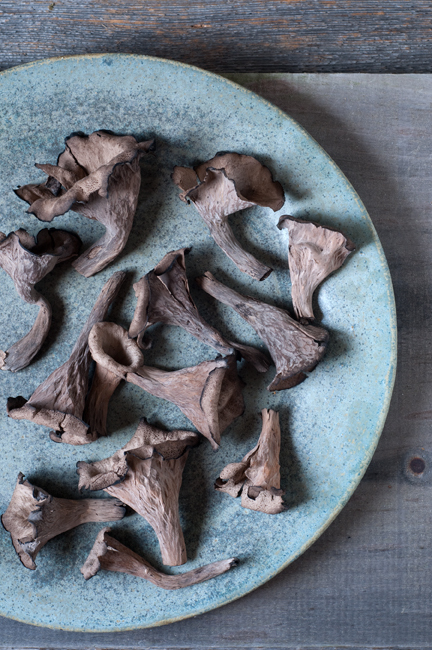 As of this week, we’ve also added hen of the woods (or maitake) to our “sure of” list. 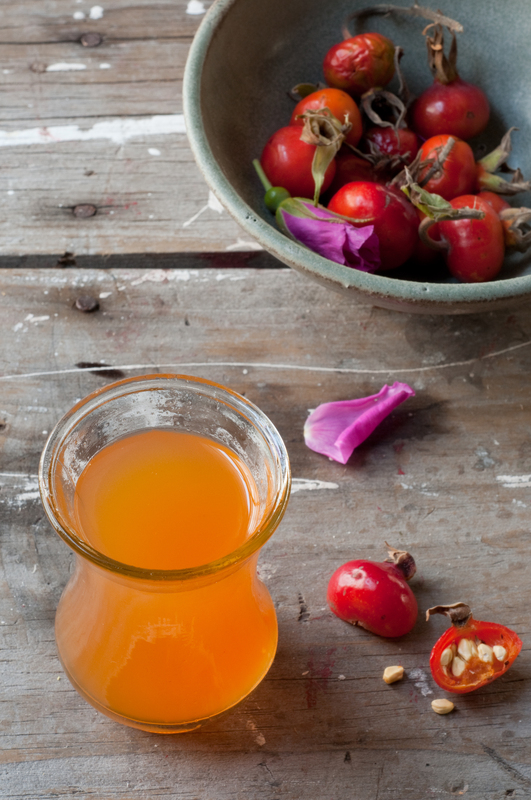 Rose hip syrup made from the ubiquitous (in Maine anyway) rosa rugosa (or sea rose) is a versatile, Vitamin-C-filled additive. While I find mushrooms among the most satisfying foraged foods to find given their relative scarcity, more abundant wild edibles like blackberries and rose hips are fun to collect as well. In his fantastic book Wild Garlic, Gooseberries…and Me, Denis Cotter provides a number of wonderful recipes for foraged foods, including a tasty rose hip syrup that makes a pleasantly fruity base for salad dressing, a soothing, Vitamin-C-filled warm beverage or an earthy-sweet dessert topping. Before the snow falls, I hope to eke out the last of the edible treasures in our midst, but when the season is over, it’ll be that much sweeter for its brief reappearance six months hence. This entry was posted in food and tagged black trumpets, blackberries, Evan Strusinski, Faviken, food photography, foraging, horn of plenty, momofuku, Noma, red chanterelles, rose hips, wild mushrooms on September 28, 2011 by Stacey Cramp.